The following sections list the requirements to achieve your goal. The first requirement for custom home items is using a skin that supports such customization. Most third party skins that can be downloaded from the Official Kodi Repository, or their Mod versions from the Kodi Forum, have some form of support for this. However, Kodi's default skins (previously Confluence for v16 and prior, and now Estuary for v17 and up) do not have home screen customization options. Smart Playlists - the method used in the How To: Guide below. The above can be used individually or in combination to create a list for each special type like Anime, Documentaries, Westerns, Home Movies, SciFi, etc. It is good practice to physically separate the media on the drive, by creating a folder specific to the media type that is being separated. eg, a folder containing SciFi, Home Movies etc. 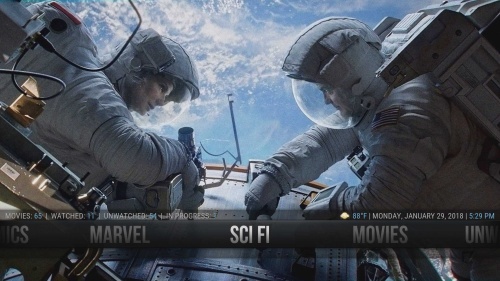 Each of these new folders are then added to Kodi as a separate Source. 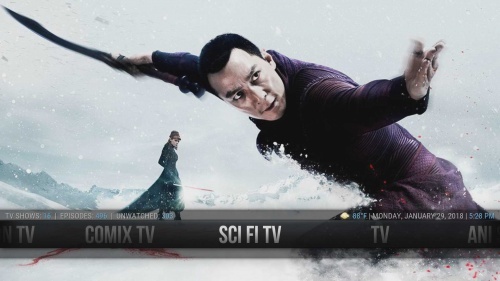 If you want to completely separate the library you can also use Profiles, where each profile has their own Kodi library and settings. Step by step How To: guides are available below. If you are using a different skin you may be able to follow one of these guides as the process is the same, but you will need to find the appropriate screens in your skin, or you could ask in the forum for your skin. This is an advanced method for those familiar with coding. Though it will not create Custom Home Items, it will describe how to rename and reorganise the existing items. This page was last edited on 18 April 2019, at 23:44.